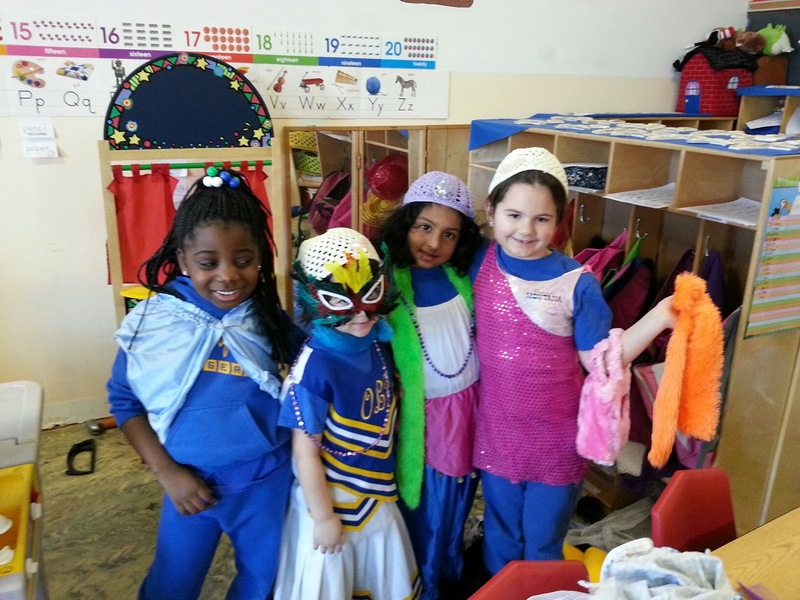 Some of the girls in Pre-K4 dress up as diva's at playtime. Dress Up is Standard 1.3 and says "Children express themselves through and develop an appreciation of dramatic play and storytelling. Teacher provides props and materials that promote children's active participation in dramatic play and storytelling."